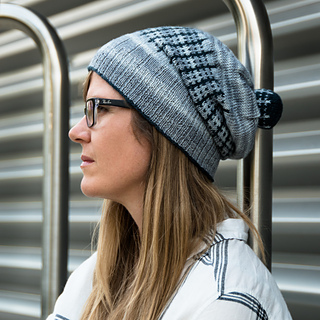 There are lovely, subtle details to this hat: two layers of ribbing in the brim that point to the vertical colourwork lines; a crisp cast-on edge in the contrast colour; a rumply decrease section that helps with the casual, slouchy look. But that pomball, right? Have fun with the contrast colour - the simple motif would look great in a variegated or striped colourway. 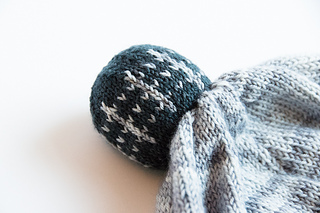 The pomball is written for DPNs, but it is easy to modify for magic loop or two circular needles with the addition of stitch markers. 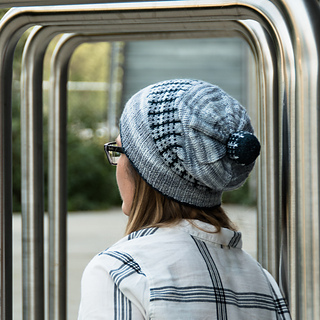 If you love this, you might also love The Plus 1 Pop Collection - a set of 7 other patterns that also use 1 mini skein and 1 regular skein. 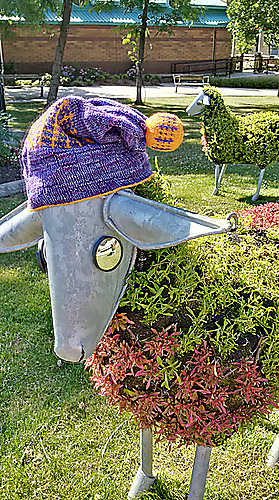 Or you might like to see the Pomball Collection of 5 other pom-tastic hats. Want help choosing colours? 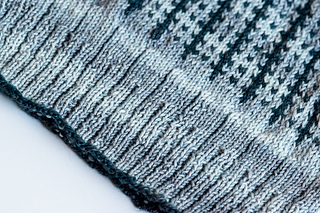 Check out these two ideas in How to Choose Yarn Colour Combos. 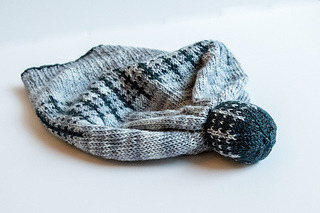 Want help with knitting, attaching, washing, and blocking your pomball? Visit my tutorial page. This pattern has been test knit.